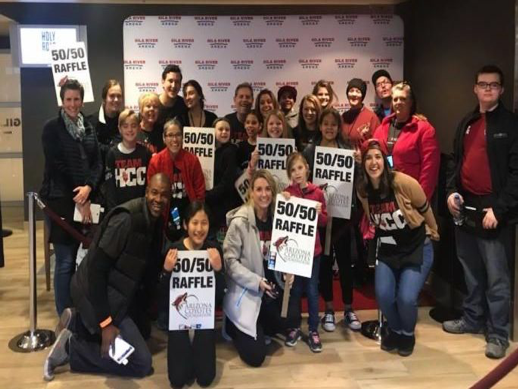 Last month HCC was invited to host the Arizona Coyotes 50/50 Raffle during their home game against the Pittsburg Penguins. Although the Coyotes lost a nail bitter in the final seconds of overtime by one goal, HCC and the Arizona Coyotes Foundation were BIG winners! HCC volunteers worked their ‘voices’ off yelling 50/50 all night and it paid off big! HCC team sold over $18,000 in ticket sales which means over $4,000 will go towards to feeding families right here in the Valley! “It’s an incredible partnership that we are fortunate to have with the Coyotes. 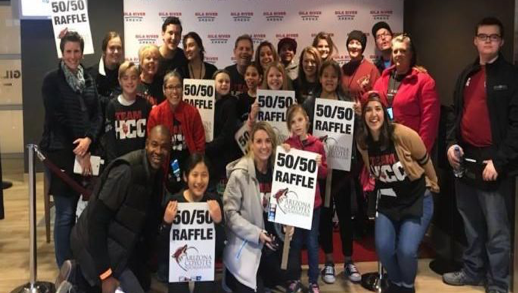 These 50/50 game nights are so much fun, our kids get to come out and be part of the action and overall HCC and the Coyotes Foundation are raising thousands to serve our community!” commented Director, Nicolee Thompson. Thank you again to the Arizona Coyotes and Coyotes Foundation for their ongoing partnership and support! Want to join us at a 50/50 game next time? Email Nicolee.